Definition at line 42 of file llfloaterurldisplay.h. Definition at line 35 of file llfloaterurldisplay.cpp. References LLUICtrlFactory::buildFloater(), createPlaceDetail(), LLPanel::getFactoryMap(), gUICtrlFactory, LLPanel::mFactoryMap, and LLFloater::setVisible(). Definition at line 42 of file llfloaterurldisplay.cpp. Definition at line 77 of file llfloaterurldisplay.cpp. Definition at line 46 of file llfloaterurldisplay.cpp. 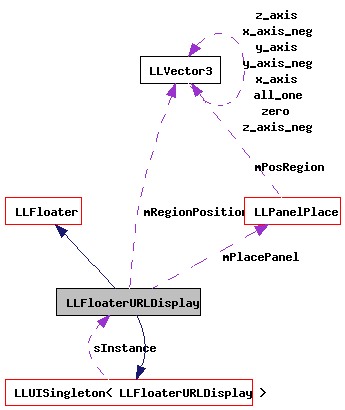 References LLPanelPlace::displayParcelInfo(), from_region_handle(), mPlacePanel, mRegionHandle, mRegionPosition, LLFloater::setFrontmost(), and LLFloater::setVisible(). 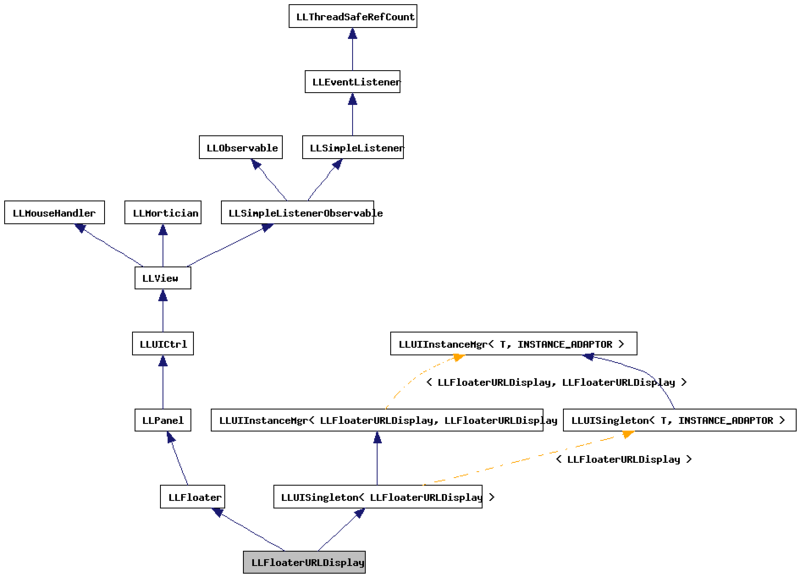 Definition at line 71 of file llfloaterurldisplay.cpp. Definition at line 66 of file llfloaterurldisplay.cpp. Definition at line 61 of file llfloaterurldisplay.cpp. Definition at line 58 of file llfloaterurldisplay.h. Referenced by displayParcelInfo(), setLocationString(), setName(), and setSnapshotDisplay(). Definition at line 57 of file llfloaterurldisplay.h. Definition at line 56 of file llfloaterurldisplay.h.